Where Are The Best Eyelash Extensions Near Me in Houston? Everyday, you, and thousands of women like you, search for eyelash extensions near me. Now, for the first time, a Houston-based company, Eyelashr, delivers eyelash extensions directly to your door! Instead of having to go all the way to an eyelash extension salon, you can use the world’s first “Uber for eyelash extensions.” Eyelashr delivers the best eyelash extension technicians to your home, office, or hotel completely on demand. You can book your eyelash extension appointment anywhere in Houston as soon as 45 minutes from now, or weeks from now – anytime that is convenient for you. In mere seconds, you can complete a booking from your phone for an available Top Lash Extension Stylist to come to your home, office, or hotel in as little as 45 minutes. Currently, Eyelashr is offering home and office lash extension services in Houston, TX and will be growing into major cities. Soon, New York, San Francisco, Chicago, Austin, Dallas, and Los Angeles will also provide the best eyelash extension stylists at your door, completely on demand! You can schedule an appointment for eyelash extension services for anytime that is convenient for you between 6am and midnight everyday. Book a lash extension stylist to come to you before work, during lunch, during your children’s naptime, after work or right before your big date. We’ll come to your home, office, hotel and even the beach – anywhere you need us. Each of our eyelash extension stylists is hand picked, certified and vetted. For your convenience, we’ve built a platform for you to view the work of each of our lash extension stylists. You can also see reviews written by their clients. You can look at multiple before and after pictures of lash extension stylist’s real work and pick the stylist whose style and reviews match your preferences. If you don’t particularly have a preference, you can also book lashes in a flash with right-now, on-demand booking. Eyelashr just released an on-demand eyelash extension app for Android. You can now download the Eyelashr app from the Google Play store and book a lash extension stylist in and around Houston, TX. The iTunes version of the app is also scheduled to release in the first months of 2018. Soon, you’ll be able to find the best lash extension technicians near you with a few clicks on your iPhone – and you’ll never have to get lash extensions at a salon again! Punctuality & Responsibility: First and foremost, the lash stylist must arrive on time to his or her appointment. Compassionate Care: From the moment the lash stylist arrives and walks into the home, he or she needs to demonstrate compassion and care. Uncompromising High Quality Lash Extension Application: Eyelashr offers the peace of mind that any lash stylist that comes to your home or office will provide top quality lash extensions. Deep understanding of lash extensions, a license to provide the service, education in lash extensions, and hundreds of hours of experience are required in order to perform the demo. We turn down many lash extension stylists who do not perform to our standards during their demonstration. Eyelash Extensions Applied Fast: We know your time is precious, and we want our lash extension stylists to be able to apply a minimum of 120 lash extensions on both eyes in 2 hours. You’ll be getting lashes to the max and FAST with our lash stylists! Lash Extension Design and Knowledge: With Eyelashr, you’re hiring experienced lash artists that are well-trained and experienced in providing you the right look for YOUR eyes and YOUR style. Eyelashr lash extension technicians provide pre application and post application consultations to help you maintain amazing eyelash extensions customized to your specific look. 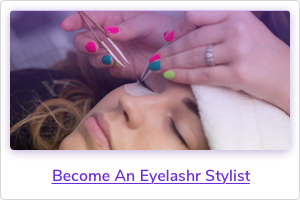 You can continue to read in-depth articles on how Houston’s best lash extension stylists are selected by Maher Daoudi at Eyelashr.com. Co-founder and CEO, Maher Daoudi, pioneered the lash extension industry as the Co-founder and former CEO of Xtreme Lashes. Maher co-founded Xtreme with his family in 2005 and, together, they spearheaded the lash extension industry, scaling Xtreme Lashes into the Global Leader for Eyelash Extension training and supplies. Now, with Eyelashr, Maher continues to pioneer the eyelash extension industry by providing the very first on-demand eyelash extension company that sends lash extension stylists right to your door and completely at your convenience.